I love deviled eggs. They’re so scrumptious. I am sure to try this recipe. Thanks Nancy. 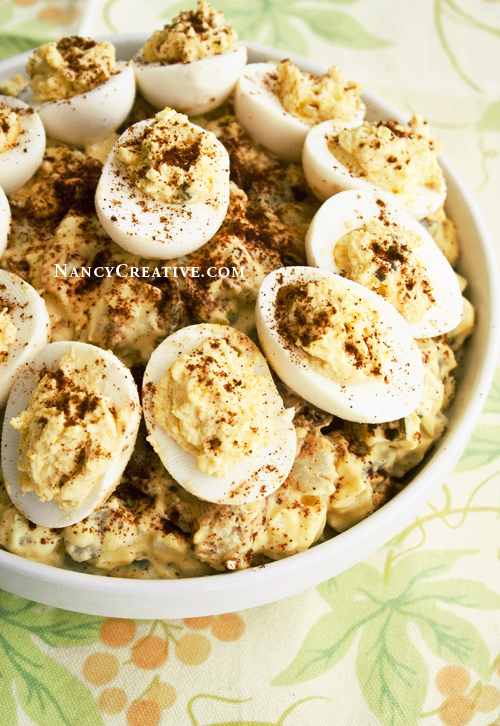 I too love deviled eggs AND potato salad so it’s a given that I will make this. 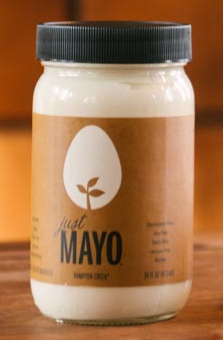 Hope I win so I can try all the new Mayos!!! Mmmm nothing better than yummy potato salad! Look forward to your emails! Thank you! HI Nancy, I am both a deviled egg and potato salad person. Thanks! I like potato salad, but never thought to combine these two. I would love to try the new mayo flavors. Very interesting concept! And just so common sense. Will surely try this at my next graduating ’64 all girls gathering! They Will surely love it! I’ve tried several of your recipes and they are always very good. This one looks like a keeper. Thanks for sharing. I love both as well” Can’t wait to try the potato salad at our upcoming Labor Day picnic! Wow, Nancy, this looks amazing. 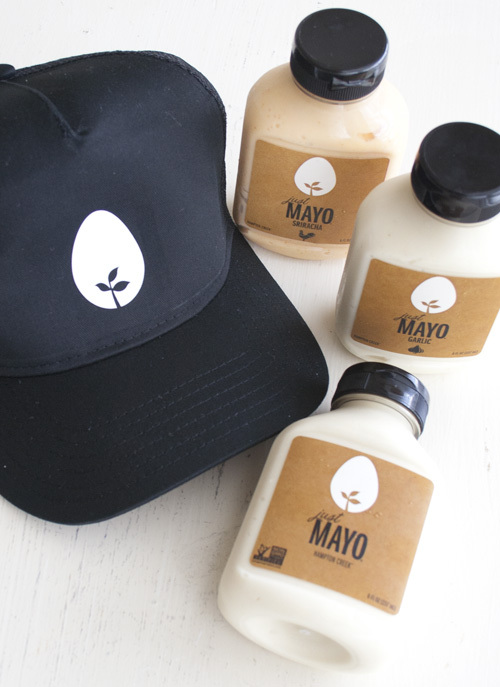 I wish we could get those mayo products here in the Dallas area. I’ve never seen them. What a combo! I’m hungry just looking at your pictures!